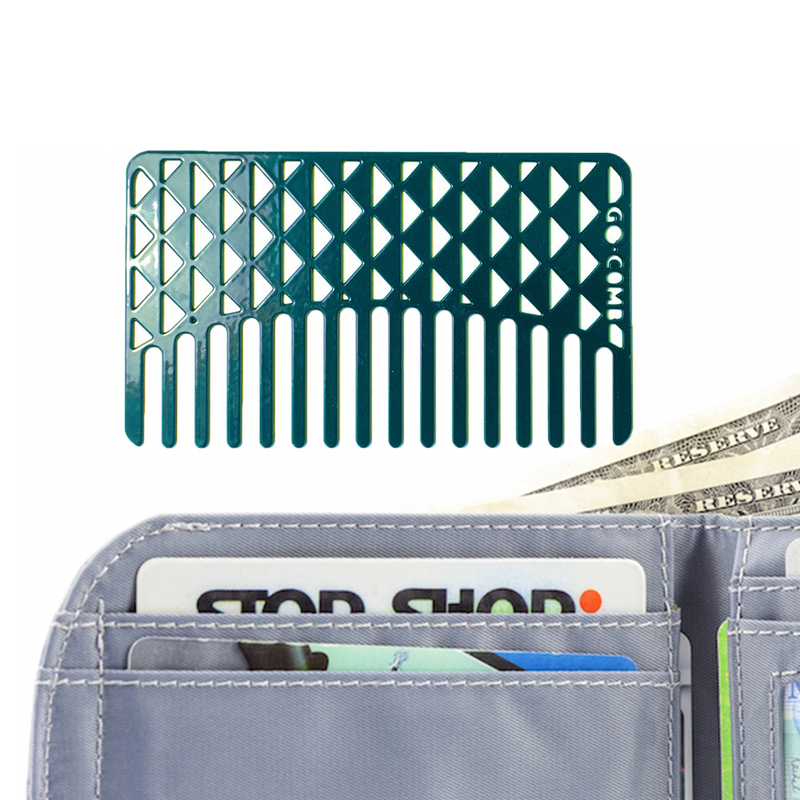 A stainless steel mesh go-comb coated in a merlot hue � a comb that fits in your Big Skinny wallet! 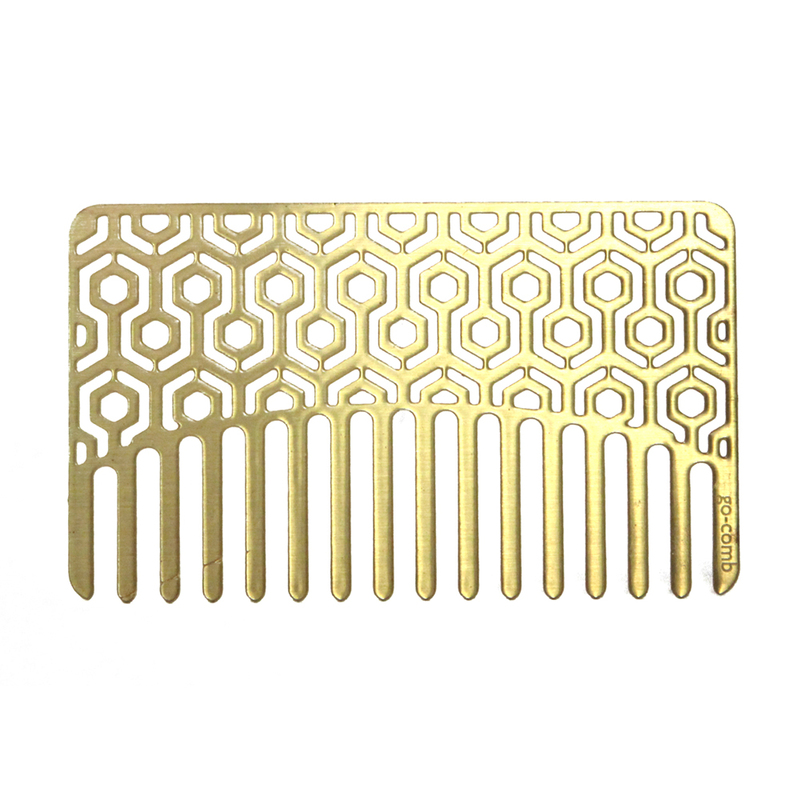 If you like to spruce up throughout the day, or prefer to travel light, a go-comb is a great accessory you can take anywhere. 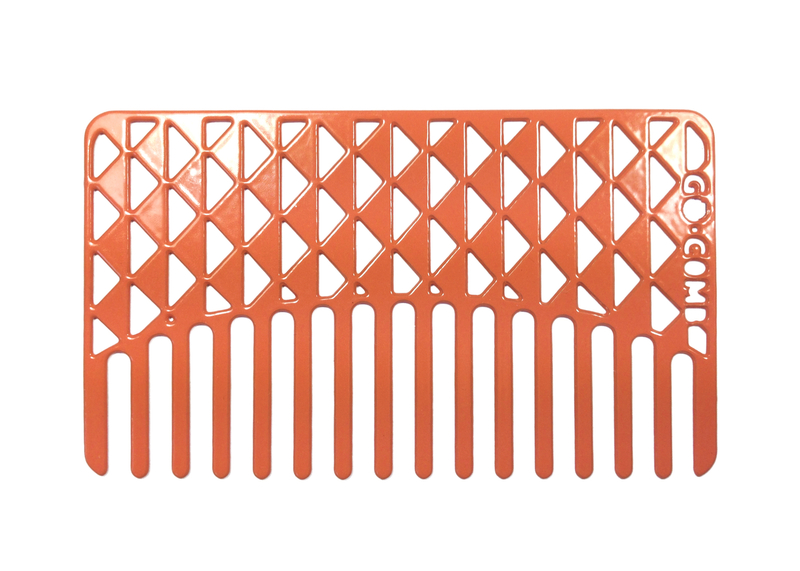 Stainless steel go-combs work well in all hair types, and have a smooth coating for the hair and scalp. 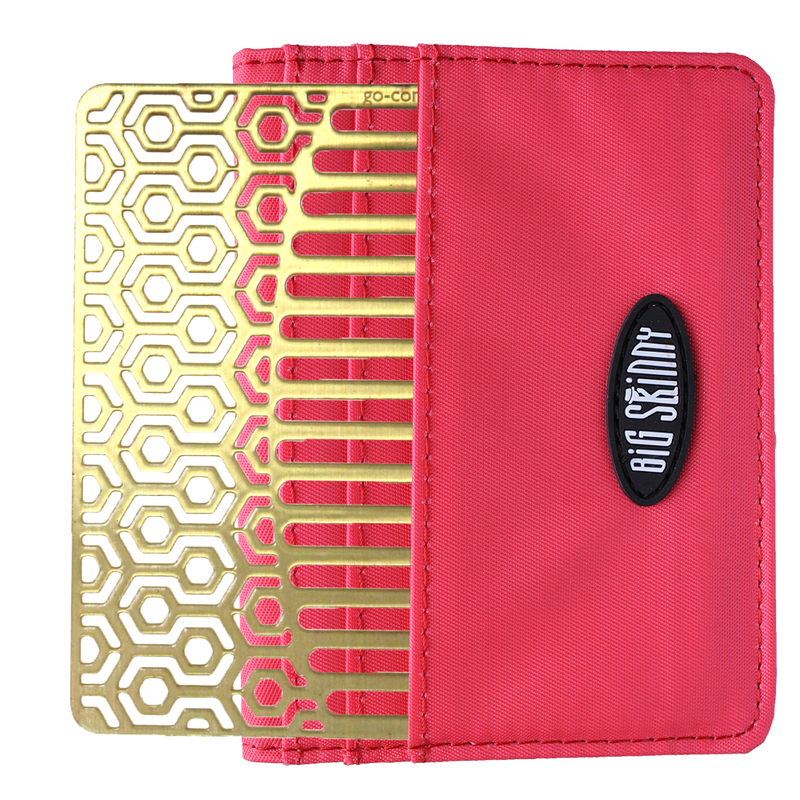 As a musician I travel a lot and having a come that fits in my wallet seemed like a handy little gadget. Well, I have to stay that I underestimated little gem. 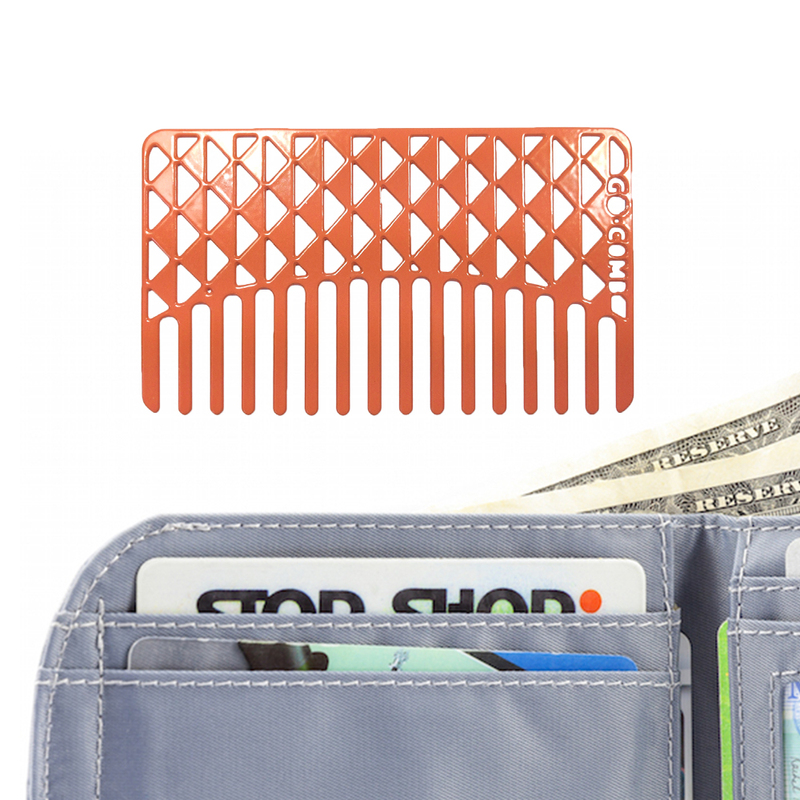 This comb isn't just handy, its BRILLIANT! I have been used it for kids and my self for quick touch-up and it's great. My daughter and I have thinner hair and comb glides through eaisly. My son who has thicker har has a slow time of. He has to start at the ends and work his way to the roots to avoid snags but still manages to come his hair. Did I mention that his hair is past his shoulders! This coms is brilliant. 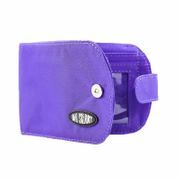 ConsOn the small side, Metal so it can be "pokey"
Easy to use to help with those windy days! Not what I expected, it is too short in length to use. 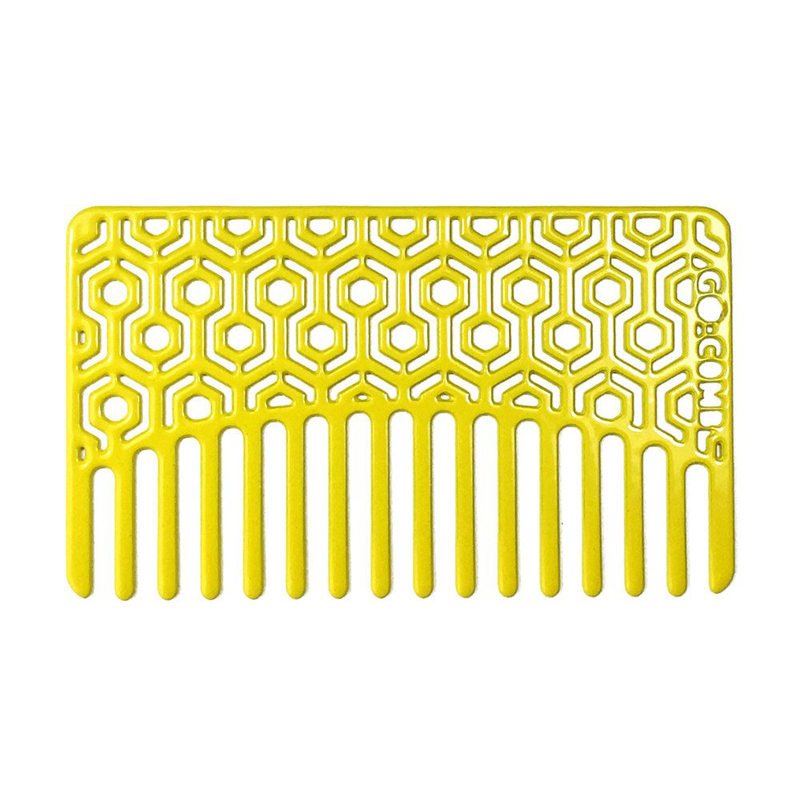 However the concept is great and the little tiny portion of hair that the comb actually comes in contact with comes out well groomed and seems to untangle the hair well. I never could be sure I had anything in my purse for hair emergencies until now. Such a great idea--the perfect fit and fashion forward styling to boot. I'm so glad I included it with my wallet order. ConsA little pricey, not enough to dissuade me. I bought this to keep in my wallet when on motorcycle trips. It's the perfect size, nice and compact. ProsCompact size. 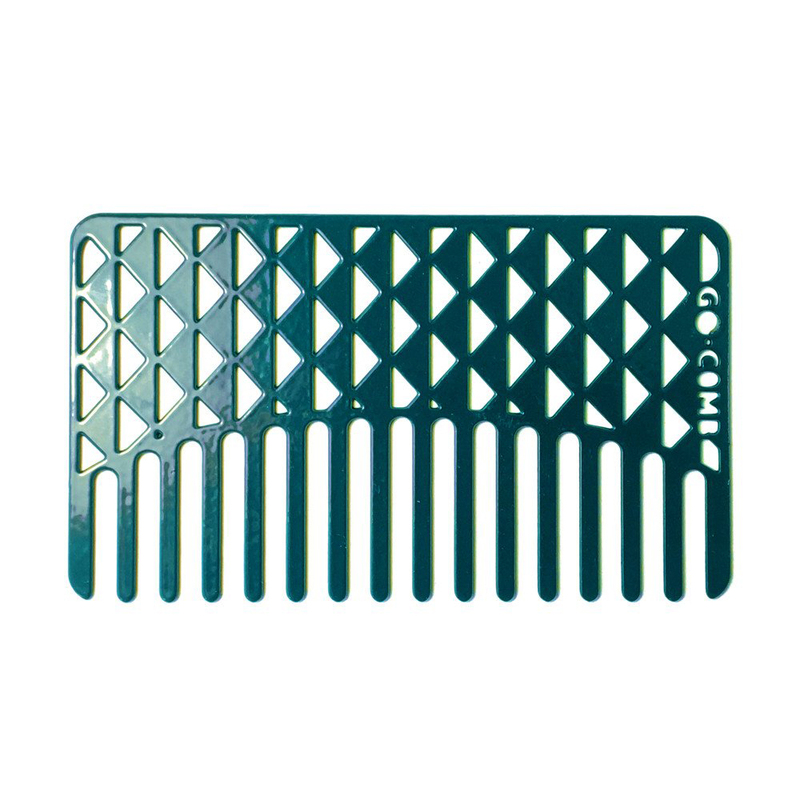 Combs thru my hair easily.